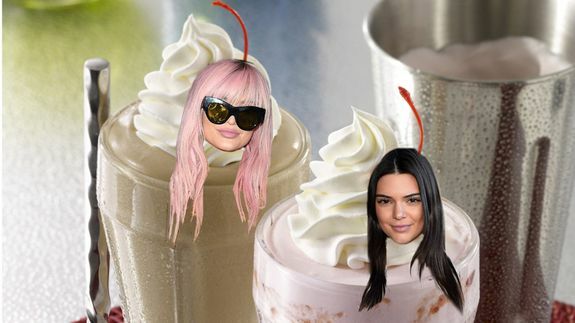 Kendall and Kylie Jenner have inspired a milkshake, really do have it all - trendistic.com: ever tried. ever failed. no matter. try again. fail again. fail better. In case fashion lines, lip kits and old school music videos aren’t enough, you can now get your Kendall and Kylie fill with a Jenner-inspired milkshake. The treat comes from the milkshake connosoirs at Black Tap NYC and it was made especially for Elite Daily. While the milkshake may be sweeter than your average Jenner girl, it certainly has the mouth of one. Milkshake Jenner is officially the newest sister to join the crew, and we can’t wait to eat — err, meet — her. [youtube http://www.youtube.com/watch?v=0VnCVHZse2s] Here’s what could happen if you bring a fancy new cleaning gadget into your home: sparks will fly and love will bloom….